Curious about your direction in life? Wondering about your dormant gifts and talents? Need insight into relationships or health matters? Wrestling with an important decision? William Stillman is pleased to offer you the opportunity to experience a uniquely personal clairvoyant reading. 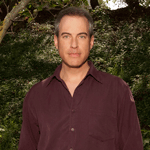 Bill is an award-winning writer and author of the Autism and the God Connection trilogy. Since 2006, he has been a regular guest on BeyondtheOrdinary.net. He has also been interviewed on numerous radio shows of a paranormal nature including Coast to Coast A.M., the most listened to overnight program in North America. Bill has taught a course on developing intuition; has twice presented for Lily Dale Assembly, the oldest spiritualist community; and, since 2000, has worked professionally as a psychic-clairvoyant for Alta View Wellness Center. Visit Bill’s website at http://www.williamstillman.com.